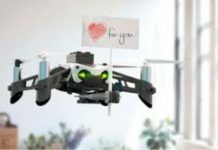 Home Blog DJI Mavic Air Vs Mavic Pro: Which You Must Buy? Unlike the Mavic Pro, Mavic Air has an available internal storage of 8GB. People would like this idea of having an additional internal storage facility. In case you forget to place your micro SD card in the drone, it is an excellent safety net to have this additional storage. If your SD card is full, then it automatically starts recording to its internal memory. In addition, the Mavic Air has sensors for Obstacle avoidance. 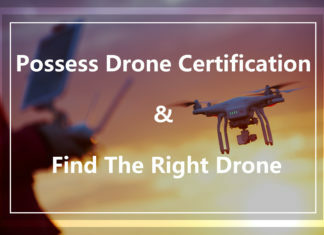 Advanced Pilot Assistance Systems will be a new feature that lets your drone fly around or over obstacles automatically while keeping the same flying direction. With a large front sensor, the Mavic Air will easily flow with hand gestures by making use of advanced SmartCapture technology. 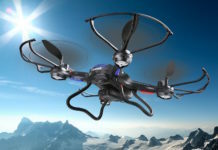 The purpose of this technology is to let you launch drones from the ground level with better obstacle avoidance using hand gestures. Just like the Pro, Mavic Air has almost all the intelligent flight modes with the inclusion of new duo quickshot modes, namely Boomerang and Asteroid. Boomerang, given the name, sends your drone on a path as similar to how boomerangs fly. The drone will start facing you and then fly around you on an upward slope before finishing back facing you. The asteroid would make the air fly upwards and backward. At the conclusion of the flight path, it captures video along with a sphere panorama. This helps in blending the panorama and footage into shots of best Video quality. The footage is reversed, when played back. This surely creates a cool effect. However, this is quite gimmicked so that users find getting bored very soon. Though these flight modes are somewhat great, you should carefully use them as lots of them could only be operated in wide-open spaces. 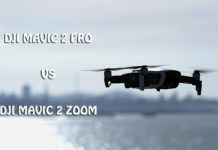 At Mavic Air vs Mavic Pro, both drones sort out each other with respect to features. If you want an aerial platform, which can fly longer, Mavic Pro wins the battle. 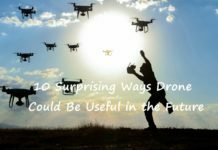 8 Could you optionally use them to a handheld gimbal ? Mavic Pro has a bit wider field of view as compared to Mavic Air. Nevertheless, this is not a hindrance. Mavic Air has a non-adjustable fixed focus while the Mavic pro enables you to select your focus point just by touching the screen. Once again, this will not break your deals. Often, you may forget yourself to touch the screen on the Mavic Pro to re-focus. While considering the majority of shots, users often prefer heights where the focus is at infinity. The Mavic Air has F-stop, F2.8 on its camera compared to F2.2 on the Mavic Pro. This is just three-fourths of a stop, yet it is always little more light sensitive making you unable to use either of the drones higher than 400/800 ISO devoid of introducing bad noise. However, I wish that DJI let you control the F-stop of the camera on both the drones. This will really help you get better Video quality, particularly in bright weather conditions. The edges of the Mavic Air are a bit smoother and rounded than Mavic Pro. In addition, the Mavic air has air vents in the shell in order to prevent overheating. Actually, the air gets through the front drone and is expelled via the rear vents. 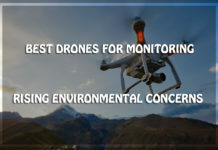 The problem possible with the vent system is insects or even small objects can lodge into the drones due to the lack of screen at the back of the gimbal to stop anything than air into entering. Certainly, the design seems to maintain the Mavic Air as cool as possible. In case you turn on the Mavic Pro for a while, then it gets very hot and noisy too. In comparison, this Mavic Air will remain cool and quiet as well. 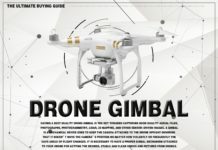 The gimbal of Mavic Air is more protected than Mavic pro. Even, the cover protecting the gimbal while not using is fairly better. The Mavic pro uses a larger battery of 3830 mAh, while the Mavic air has a smaller battery of 2375 mAh. The important thing you need to keep in mind before flying your Mavic Air is, pack up the little tabs located at the end of front arms. Actually, these are antennas so that it is important to fold them down before you fly. The Mavic Pro certainly looks a bit larger than the Mavic Air does when both of them are unfolded and set for flight. If they are folded down, the size difference will become less noticeable. The Mavic Pro weighs 734g, which is considerably heavier than the Mavic Air at 430g. If the propellers of Mavic Pro are being folded together, they look quite larger than the propellers of Mavic Air. The Mavic Pro and Mavic Air controllers are having similar sizes. However, the biggest difference is a telemetry screen being held by the Mavic Pro whereas the Mavic Air does not. The controllers of Mavic Pro have two dials on its top, yet the Mavic air has only one. The Mavic Air has a function button on the screen front, while the Mavic has duo function buttons at the back of the controller. As smaller, the Mavic Air’s control detaches and gets stored within the controller. This makes it much easier to store without getting any damage. While shooting in UHD, the low bit rate of Mavic Pro can raise its ugly head. Sometimes, your footage will also get ruined. Does recording UHD at a very high bit rate of 100 Mbps provides a perceivable difference while utilizing the Mavic Air? The Mavic Air lets you shoot in D-cinelike, while the Mavic Pro extends to D-log. 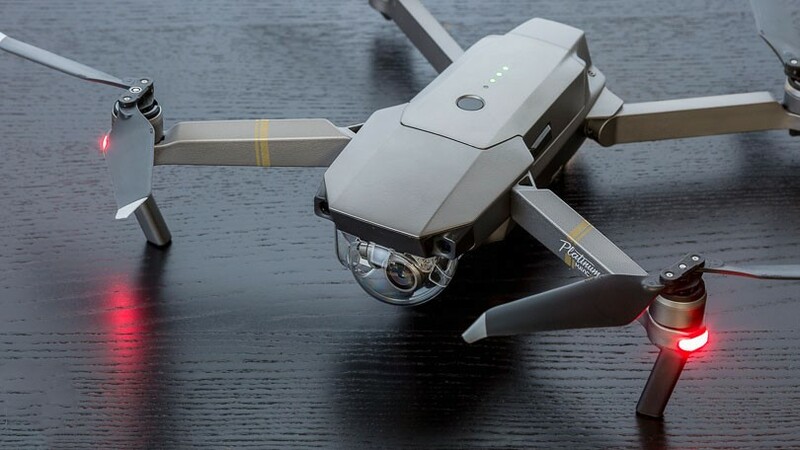 However, the Mavic Air records at a very high bit rate compared to the Mavic Pro, both of the drones will use different image sensors with a little price difference. Apparently, the Mavic Pro utilizes a Sony IMX377 and a Sony IMX477 is for the Mavic Air. 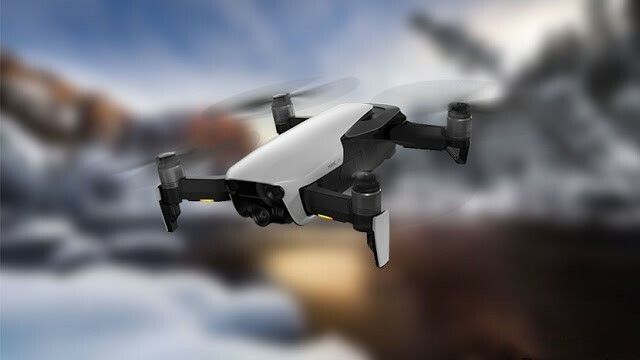 The Mavic Air also uses an all-new IMX477 1.55 mm pixel cell CMOS image sensor, which is skilled of 240fps at 1080 pixels 10 bit, 60fps at 4K2K 10 bit, and 60fps at 12Mp 10bit. Any of these capabilities are not found in Mavic Pro. However, this is likely possible with the onboard processing power. In addition, both the drones are said to be making use of different image processors at Mavic Air vs Mavic Pro. 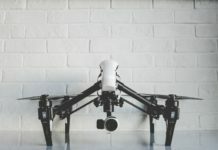 In essence, the Mavic Air makes use of an Ambarella H1 as the image processor that looks similar to that of Phantom 4. In contrast, the Mavic Pro uses an Ambarella A9 that seems to be the same image processor used in GoPro HERO3. The Mavic Air has a slightly slower aperture as compared to Mavic Pro. The image it generates should be a little darker. Usually, you can use ND filters on Mavic Pro to bring down the Shutter Speed. However, the Mavic air did not possess any ND filters. Ideally, you have preferred to test both drones at Mavic Air vs Mavic Pro with lower shutter speeds. 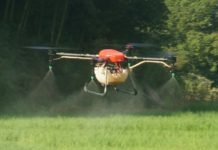 The video footage shows how those two images look if both drones are exactly flown in the same conditions simultaneously. The image of Mavic Air resolves a bit more detail. 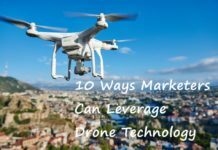 The higher bit rate, newer image processor, and newer sensors all contribute to a perfect image, which does not give mushy look as that of Mavic Pro. The dissimilarity in terms of sharpness and detail is shown in the image cropping. The image of Mavic Air appears to be as bright as of the Mavic Pro. The image of Mavic Air, in the D-cinelike settings, had more color and contrast information. 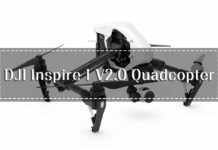 When it comes to Mavic Air vs Mavic Pro, both drones can be adjusted to obtain better results. However, you have to test them in the head-head evaluation with the same settings. The image of Mavic Pro looks sharper but most people do not prefer that hyper-sharpened look. If something looks sharper, it does not mean that it is essentially resolving more images in detail. It is possible to give a sharper look to everything in Mavic Pro by setting its sharpening to +1. Nevertheless, it introduces more noise and image artifacts into your images. Both the images are susceptible to a well-documented taping look, especially when utilized at a very high Shutter Speed setting. In fact, the increase in the bit rate in Mavic Air will not eliminate this effect. Compression is the reason why you get this flicker. GOP comparison artifacts are responsible for causing video flickering. Here, GOP refers to Group of Pictures, which would be a usual compression method to group multiple frames and help in getting better compression rates. Usually, this is 7 to 15 frames. 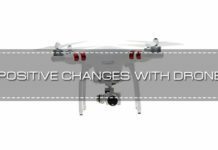 When it comes to DJI Phantom drone, a 7 frame GOP is used to cause a shift in the pixels of every eight frames. This is extremely noticeable in certain video footage because it will be a rhythmic pattern and therefore, creating a shimmering effect. Of course, this is noticeable in the majority of DJI drone footages, particularly those who use low bit rate codec. To record a UHD image, 100Mbps is quite far from ideal, particularly if you fly at certain speed over terrains like water or trees. Just the codex cannot able to take care of all that information. As per the previous experience, Mavic Pro looks very nice in summer conditions, but not that much better during flat light or overcast. The Mavic Air looks a lot better in flat light and overcast conditions. In the real world conditions, much difference is not noticed in the overall DR or highlight roll off between these two drones. The colors are quite different between the drones if they are exactly used with the same settings. The Mavic Pro would look cooler green, while the Mavic Air has some warmer looks that slightly pushes towards magenta. 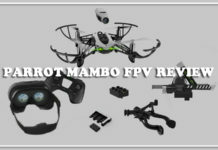 The color of Mavic air is closely related to Phantom Pro 4 than it is to Mavic Pro. While shooting in D-cinelike, the image of Mavic Air is a bit oversaturated. 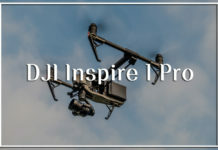 The biggest complaint with most DJI drones includes highlight roll off, low light performance, and dynamic range, which has not improved over the years. Still, they struggle with some contrast conditions. It is virtually impossible to retain any sort of detail in the bright highlights. As far as low light performance is concerned, Mavic Air would surely outperform Mavic Pro. Just do a simple test where you should exactly use the same light but slightly change the brightness. This marks EV value zero on both Mavic Air and Mavic Pro. Since everything is stationary, the test does not stress the codec. This test is designed purely to show noise. At 100/200 ISO, you may find a little Price difference and the Mavic Pro seems less rasping at 400 ISO or even above. I will be hesitant to make use of either drone at above 400 ISO value. In Mavic Air, there is a wired exposure to image change at 200 ISO value. This is something, which can be fixed by the means of firmware updates. 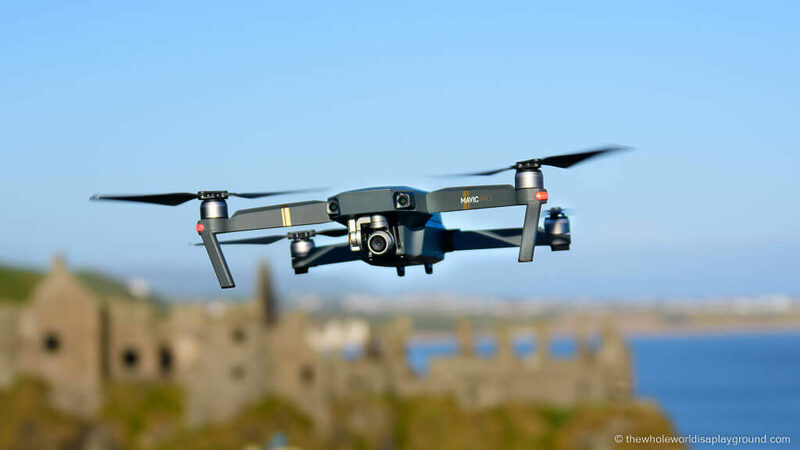 In the normal operating conditions, you feel difficult to distinguish many differences between Mavic Air vs Mavic Pro as both the drones hover well and fly smoothly. You cannot perceive many real-world differences while flying the two. However, the difference might be noticeable during higher winds. Mavic Air finds it difficult to fly in windy conditions. You can rest assured that the transmission range of Mavic Air may lead to dropping in signal from the controller. The difference was somewhat noticeable with respect to the flight time. The additional six-minute flight time with Mavic Pro becomes apparent when bringing back the Mavic Air. Do not ignore six minutes as you may feel like a lifetime if you shot aerials. 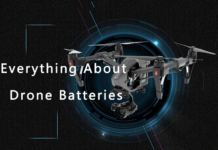 For example, if you had four batteries for each of them, the Mavic Pro gives you an extended Flight time that equals to one additional flight. Also, there would be a significant difference in producing noise by both drones. The Mavic Air is a bit louder than the Mavic Pro is. While trying to use DJI goggles in order to operate both drones, the possibility is to get mixed outcomes. Smooth control of camera gimbal is not feasible with goggles, but, instead, you may get better results if you simply hold the goggles and move them slowly. Moving your head by wearing them is not enough to create camera moves as smooth as possible. Could you optionally use them to a handheld gimbal ? The answer is simple, yes! However, it is not a replacement. 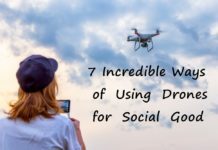 If you want to get a shot, all you need to get is a drone. 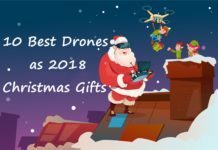 How both the drones looked when you used them as handheld gimbals? Unbelievably, Mavic Air vs Mavic Pro give you an adequate job. 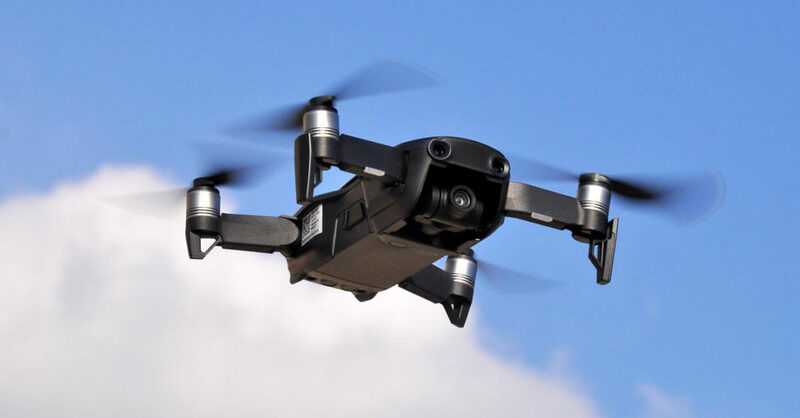 The Mavic Air is useful when you are running with it whereas the Mavic Pro has some major problems if you have tried to perform the similar thing. You can obtain half-decent tracking shots by using it in scenarios where you can mount it up over a light stand for getting high shots. 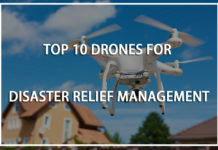 The advantage of using drones for this kind of shot is that you can either tilt the camera up or down to make changes while exactly seeing what you have done. Different folks have different strokes. 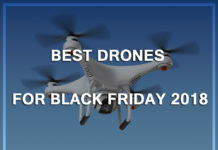 It is based on what you want and needs out of drones. 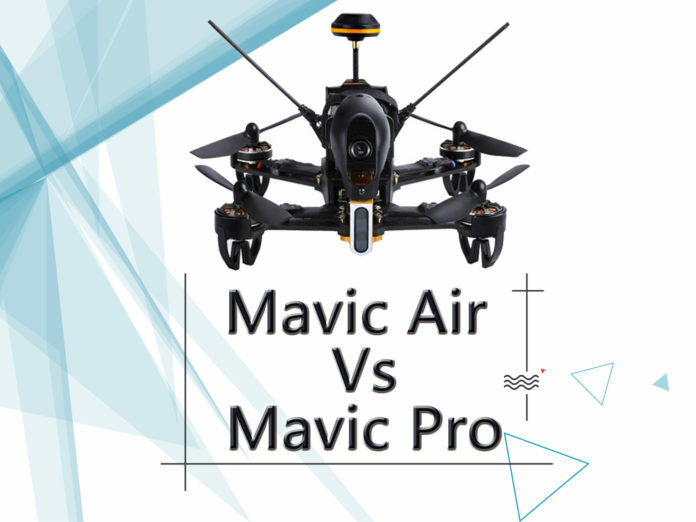 In the battle of Mavic Air vs Mavic Pro, Mavic Air punches its weight a bit higher mainly due to the superior sensor, image processor, and bit rate when compared to Mavic Pro. Overall, Mavic Pro is also still the best product. 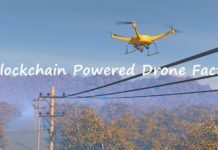 However, Mavic Air nips at its heels. The Mavic Air has better image quality yet its shorter range and flight time combined with the absence of D-log would make you think once again which is better? 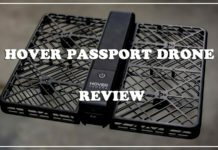 As an outcome of Mavic Air vs Mavic Pro, the most capable and the most affordable Mavic Air would be the clear option, Which You Should Buy without fail!